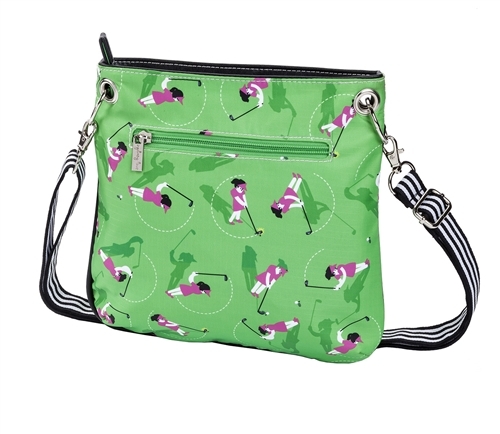 Sporty and fun lady golf Swing Time print. 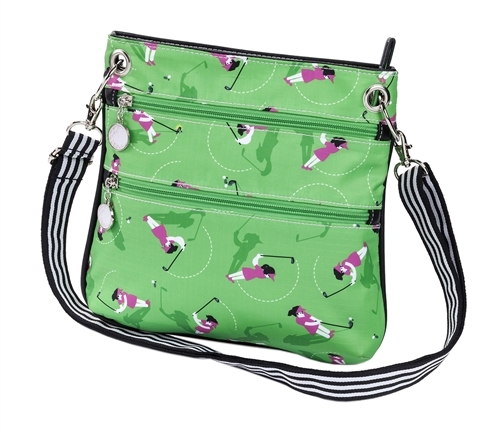 Top zip entry and two front zipper pockets accented with golf ball zipper pulls. Interior fully lined. 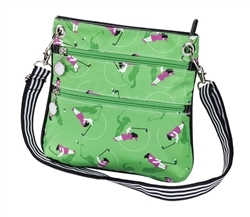 Two slide pockets, perfect for cell phone and other small accessories.